"This is a recipe handed down from my grandmother to my father. 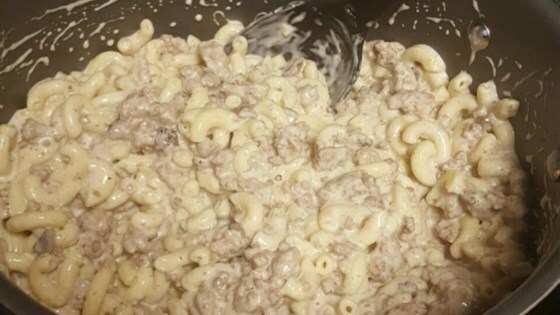 It's a very unique creamy white-sauce goulash that takes about 20 minutes to make. A real winner with kids. My family's favorite!!! Give it a try. Lemme know how you like it." The dish was fantastic and I will make again for sure. Not trying to be rude, but the dish can only be bland if its not seasoned properly.